Hey guys! 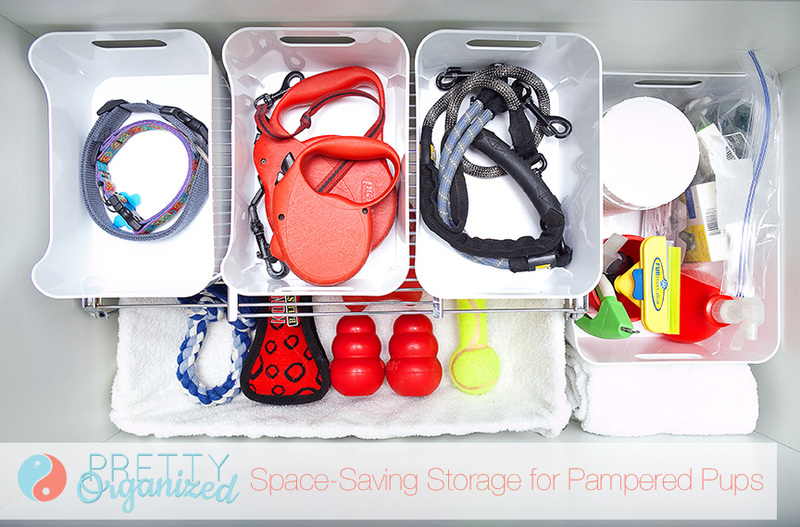 I’m sharing a pup-friendly storage solution over at Pretty Fluffy today. Pop on over to get all of the details on this space-saving Entryway Doggy Drawer & send Serena some love! If you haven’t seen her blog yet, you are definitely in for a treat — it is chock full of fabulous ideas for spoiling your favorite furry friends! Oh, and you’ll also get to see Basil & Chase’s Australian modeling debut! Tiiiiickle Fight!! Haha, don’t worry — the “real” photo is up on Pretty Fluffy! I think Basil nailed his “Magnum” pose. Thanks so much, Serena! Pretty Fluffy + Pretty Organized = Pretty AWESOME!! Such a great idea! Heading over now to check it out!